More than two-fifths of new drugs approved in the US last year were orphan drugs, and there are more than 4,500 drugs in active development for rare diseases. 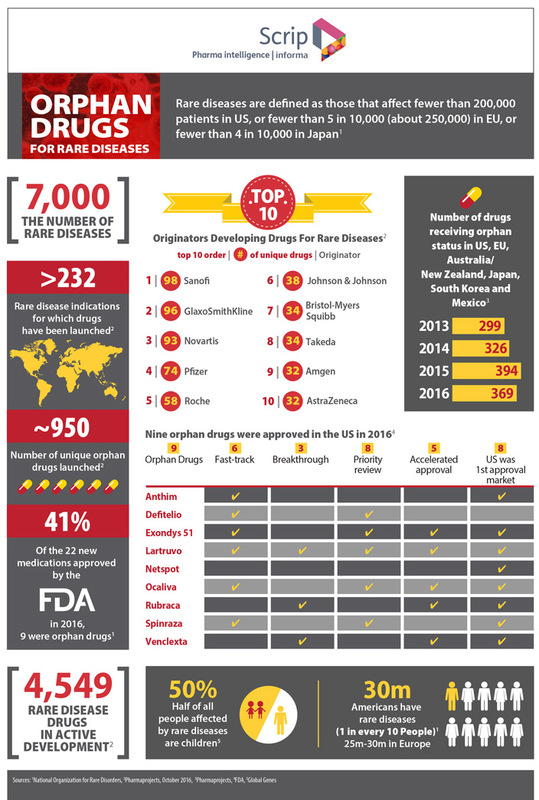 Effective orphan drug legislation and incentivization programs introduced gradually around the world since the 1980s mean rare diseases are no longer a rare sighting in the pharma industry pipeline, as this infographic illustrates. Find out more about Scrip here.